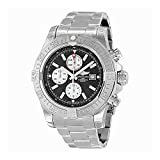 Breitling watches are those faultless watches fit for any occasion completely manufactured in Switzerland, according to the strictest Swiss watchmaking quality standards. These watches go through approximately 1000 checks during production, while all movements (mechanical and quartz alike) must successfully pass those extremely stringent tests of the Official Swiss Chronometer Testing Institute (COSC). 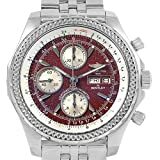 Breitling SA is a top notch Swiss luxury watchmaker based in Grenchen, Switzerland. The company was founded in 1884 by Léon Breitling in Saint-Imier. 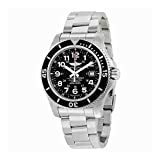 Breitling is known for precision-made chronometer watches designed for professional aviators. 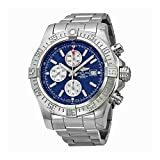 The latest and Best Breitling Watch Review with top rated actual reviews for Best Breitling Watches is here at last. Get the lowest prices available for global shipment depending best terms and conditions available. 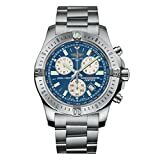 Choose your new Best Breitling Watch from our Latest and Best Breitling Watch Review. This is a great place to explore and find new Breitling Watches as a new and trusted companion and best friend. 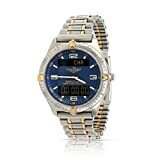 Breitling watches feature regularly in the Top 10 best Watch Brands, Best Top 10 Watches in the Aviator watches categories and also in Top 10 Dive Watches respectively. 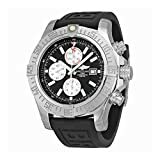 Breitling watches have not only become Kings in the air as one of the most respected Aviator Watches but also lately by teaming up up with Bentley, Breitling Watches have now staked a claim to being Kings on the Road with the Breitling Bentley 24 Le Mans Watch. If that was not enough they are also no doubt Kings underwater with top notch certified Dive Watches. If you thought that the inner atmosphere placed a cap on the frontiers of this watchmaker then consider how there might not be any near term bounds for Breitling Watches as they have also produced the Cosmonaute Navitimer developed for space travel! 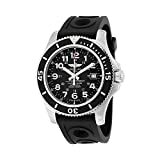 There are watches designed for balloon fllights, jet avaiationa and even Emergency missions with Radio distress ransmitters and the works for added security and safety especially in civil avaiation. James Bond in the film Thunderball famously had a special one gifted to him with “special” functionality! 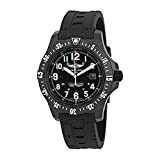 As you can expect with a thoroughbred brand such as this their watches come certified to do a job well done and are built to last a very long time indeed functioning to precision standards and to withstand rugged and extreme environments under water, on land, in the air and even space! What a SuperHero type watch fopr your high achieving Super Hero go getter type of personality. The Best Breitling Watches are the perfect best friend to share lifelong intimacy as well as a luxury fashion accessory to and take with you wherever you go. Literally more or less No Place to is out of the question to take loyal and totally reliable best friends. What is the Warranty like for Breitling watches? Serviced, Polished, and Checked By Our Authorized Watchmakers. Take a look at our individual product featured reviews to get a more in depth appreciation of each product specification as well as our own Full Review and analysis. 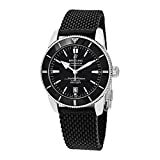 We hope you have enjoyed The Latest and Best Breitling Watch Reviews in your search for the most suitable and satisfying new personal and very best friend to rely on in all types of environments and situations. 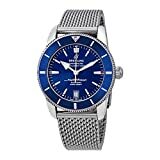 Please take a moment to comment on urr watch Review below with a few kind words of appreciation and enjoy Breitling Watches for yourself and your dear loved ones now and for a very long time into the future! 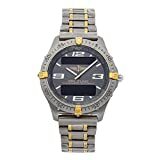 The Breitling watch Review has no doubt but to conclude that BReitling Watches are a State of the Art cutting edge leading quality watchmaker with second to known credentials to get a job well done whether under water, on land, in the air or even in space prove as much Total reliability and functionlity you can get. Well worth spending your hard earned cash on!